Many of the first Arab, Palestinian people were actually Christians fleeing the Ottoman Empire in the late 19th and early 20th Centuries. Later Muslim immigrants arrived. Due to wars and the foundation of the state of Israel the number of immigrants to the United States grew rapidly. Approximately half of the Palestinian population hold college degrees allowing them to be very successful in American Society. Many own small businesses and others work as professionals in a number of different fields. The majority of Arab, Palestinians adhere to Islam but some are Christians. They have such a rich history that is rooted in their religious ties which drives how they view the world specifically Israel/Palestine. Whether they are Christian or Muslim they are very committed to their beliefs, traditions, and to their people. The biggest and central issue for those of Arab, Palestinian decent is the formation of the state of Israel. When the nation was formed many Arab, Palestinian people were forced from their homes and their land. Many are outspoken concerning US-Israeli relations and what they feel is an unjust support of the state of Israel. 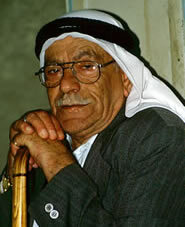 Pray that God would open the hearts of the Arab, Palestinian people to the Gospel. Pray that Arab, Palestinian Christians would be burdened to reach their people. Pray that the Church in North America would recognize and seek to reach the Arab, Palestinian people group. Pray that the Arab, Palestinians would have the desire to talk about spiritual things with Christians.